Recently, the representation of “black” subjects has become a very popular historical object, especially in the academic field. For this reason, works related to black studies has increased. With the aim to express how the world of images played a role in the historical process, distinguished by the establishment of the slave trade, the gradual appearance from slavery and ultimately the slow affirmation of a black identity. 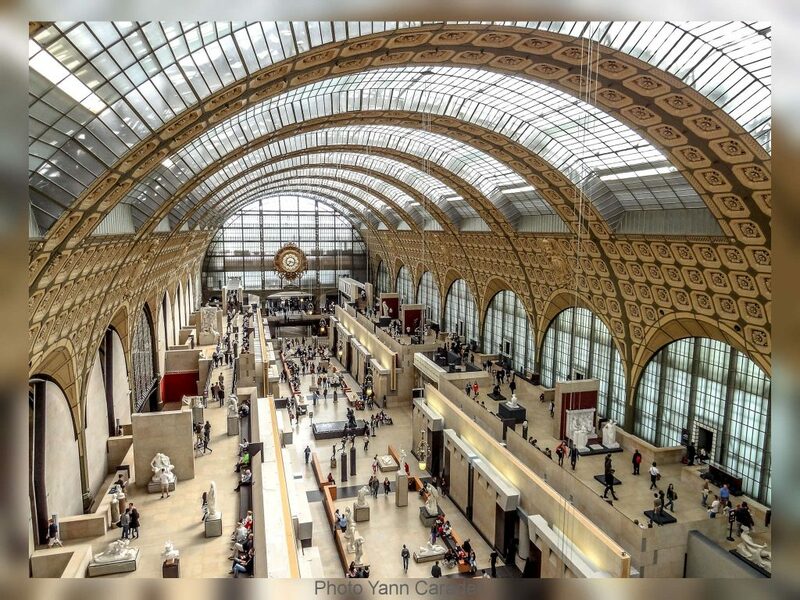 For once, in front of the beautiful «Olympia» by Manet (1863), one of the masterpieces of the Musée d’Orsay, the visitor is invited to linger. However, not to admire the naked young woman who looks impudently at her audience, but focus on the other woman in the picture, the black maid who, on the background, gives Olympia a bouquet of flowers, probably a customer’s gift. The ebony skin of the maid blends into the background and contrasts with the brightness of her dress and the ivory skin of Olympia. The idea of this exhibition comes from Denise Murrell, a Columbia University PhD student. In 2013, she decided to shift the attention of the painting on the Manet maid and on the countless other unnamed black figures in further paintings. This thesis led to an exhibition at Columbia University’s Wallach Gallery in New York. 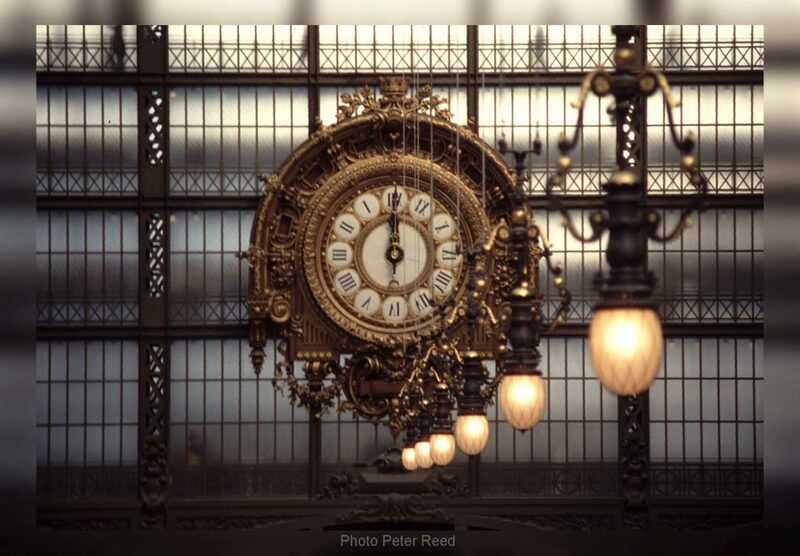 The Musée d’Orsay is now performing its own related exhibition on the same matter. The maid is therefore one of the central figures of the exhibition “Le modèle noir – De Géricault à Matisse” that the Musée d’Orsay, in collaboration with the Wallach Art Gallery of New York, has been organizing from March 26th to July 21st. The museum wants to show how black people’s imagery has been constructed, dismantled and reconstructed over time from the period of the French Revolution to the early twentieth century. The focus is therefore placed on figures that are often unnoticed or almost unseen. The choice of a title in the singular (modèle and not modèles), despite the various representations, aims to highlight the different meanings of the term “model”, which can be understood both as an “artist model” and as an exemplary figure. There are so many black women and men whose destiny crossed that of the artists leading them to establish relationships with each other. So, who these great forgotten actors of modern history are? It is to all these people that it has been tried to give back a name, a life story and visibility. From the stereotype to the individual, from misrecognition to recognition, the exhibition seeks to outline this long process. Furthermore, it attempts to highlight one of the greatest neglected character in art history. Thus, confirming this discipline as a mirror of ideas and sensitivity and, at the same time, affirming the deep ties that unite the nineteenth and twentieth centuries, up to the present time. Findings made by the curators suggest an intriguing sight into multiculturalism in nineteenth-century Paris, as well as into the ordinary life of these models. One of the most fascinating discoveries was that in the artistic groups of the time, these men and women were considered exactly the same as white models. Historical records have showed that they were paid equal sums and were accommodated in the same neighborhoods as their “traditional” counterparts. The exhibition is divided into three phases: the abolition of slavery (1794-1848), the New painting (with Manet, Bazille, Degas, Cézanne …) and the first avant-gardes of the twentieth century. Central to the exhibition is another marvelous work, which is set up in the first section: “Portrait d’une négresse” now known as “Portrait of Madeleine”. 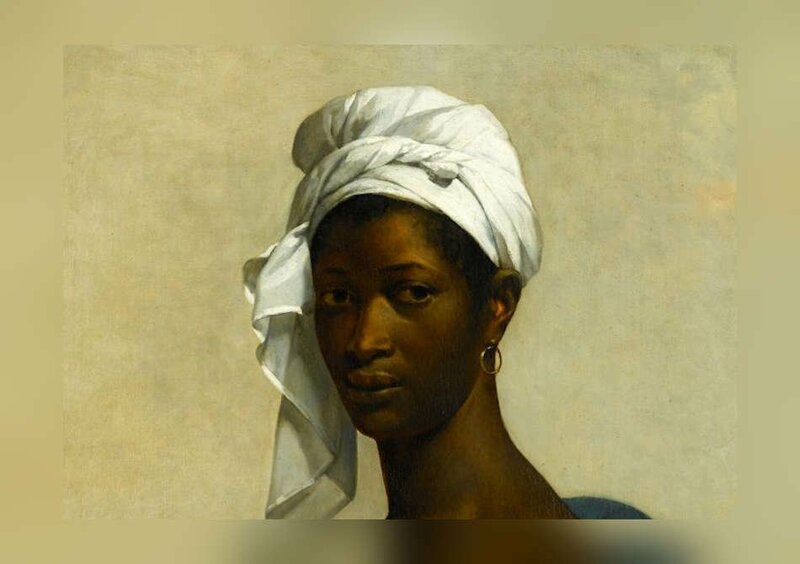 The painting, which belongs to the Louvre, was made by Marie-Guillemine Benoist, an apprentice of Elisabeth Vigée-Le Brun, and was painted for the Salon of 1800, a few years after Revolution and the abolition of slavery in 1794. The young black woman in the picture, a maid, poses like a high-class lady, relaxed, looking straight at the audience, wrapped in a soft fabric that leaves a breast uncovered. The painting, which shocked the critics, is considered a feminist and freedom manifesto. For the twentieth century section, have been set up works by Matisse such as “Woman with a white dress” from 1946, on loan from the Des Moines Art Center. This painting was created after a trip made by the artist to Harlem in the 1930s where he discovered the Harlem Renaissance. The African American artistic movement developed in the 1920s in the homonymous neighborhood of New York City. Works by exponents of this movement are also on display, such as Charles Alston and William H. Johnson; female black artist, such as Mickalene Thomas and Ellen Gallagher, and post-war generations, such as Aimé Mpane and Romare Bearden. The exhibition also features sculptures by Jean-Baptiste Carpeaux and Charles Cordier and photos by Nadar and Étienne Carjat. The theme of the exhibition is about the model and therefore the relationship between the artist who paints, sculpts, engraves or photographs and the model that poses. Specifically, it explores the way each representation of the black subject in the main artworks evolves. This represents the first time that France is actually undertaking the idea of black subjects in art. Similar previous exhibition in Europe were the National Portrait Gallery’s “Black Chronicles” shown in 2016, which displayed photographic portraits taken between 1862 and 1948. Worth to mention is also the “Black is Beautiful: Rubens to Dumas” displayed in 2008 at the Nieuwe Kerk in Amsterdam. This exhibition addressed the topic of black figures in Dutch art and culture, through works by Rembrandt and Rubens as well as Karel Appel.